The FSGA is a volunteer-based organization that provides services to thousands of golfers and golf clubs throughout the state of Florida. We are proud to have some of the finest tournament and course rating committee members in the nation. Tournament Committee Members help administer over 500 days of competition each year, including 36 state-level championships and over 45 days of USGA qualifying. Tournament officials are designated, based upon their experience, as general Committee members, Rules Officials or Tournament Chairman. Tournament Chairman are assigned to each event and the individual is responsible for the overall administration of the event, including course set-up and coordination of other Committee Members. Click here to view a list of current Tournament Chairmen. Rules Officials are experienced in officiating and are highly knowledgeable in the Rules of Golf. Click here to see Certified Rules Officials. General Committee Members assist as marshals, starters, pace-of-play officials, scoring officials, evacuation assistance, and other duties. 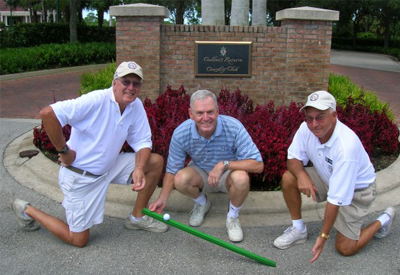 Course Rating Committee Members serve the golfers of Florida by systematically rating the state’s 1,300 golf courses. 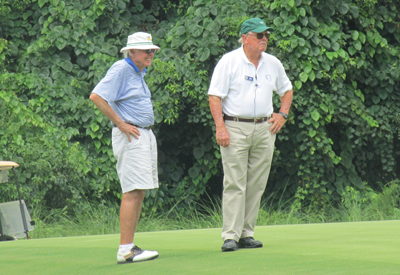 Our committee members work in conjunction with Gary Donat, FSGA Director of Course Rating, and follow strict USGA guidelines for rating each course. A course must first be accurately measured, and then obstacles that affect playing difficulty are evaluated in accordance with established standards. Typically, teams of 5-6 individuals spend over five hours making measurements and statistical calculations necessary to produce a course and slope rating. Click here to view Course Rating Team and Captains in your area. Similarly, the Board of Directors and the Advisory Board of the FSGA are made up of volunteers from all regions of the state. The board members contribute their time and expenses in governing the operations of the association. Our Community Service Committee Members remain active in all areas of golf, such as providing guidance to junior and high school golf programs and raising funds for scholarships and turfgrass research.